Queue Manager is a new application designed to improve customer satisfaction in offices with long wait times. 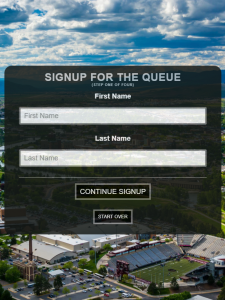 While Queue Manager was built for city or county offices it can be configured for any business or organization serving customers through one or more lines. Call  549-0766 Request a Live Demo! 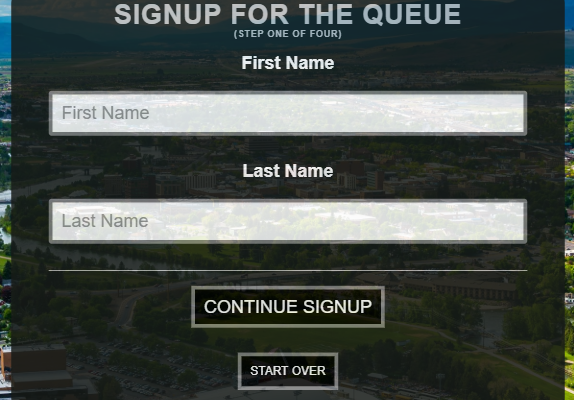 Queue Manager allows customers to join the line from a tablet or computer as they enter the lobby through an easy to use step by step interface. Customers can even join the line remotely so they only need to come to the office when their turn is coming up. Queue Manager allows customers to easily browse availability and schedule appointments online. A key feature of Queue Manager is the ability to send text or email notifications. All customers will receive immediate confirmations of their Number or Appointment Time. They will then receive reminder notifications to ensure they are in the lobby when it’s their turn to be called. For walk-in customers this allows them to conveniently leave and be notified when its time to return. For appointment customers, it ensures they have the reminders as they need to remember when to arrive. Included in the notifications are links to view the current queues online and by responding to the notifications customers can request more time, cancel, or reschedule. At the heart of Queue Manager is the employee workstation. This screen allows you to view any number of queues in real time and will automatically slot appointments around walk-in customers based on estimated wait time. As employees serve customers or sidebar no-shows, each other employee’s workstation will update in real time. The best part of the Queue Manager workstation is that its dead simple with a convenient drag and drop interface. Completely Configurable Data Structure – Users define all services offered, how many queues and what services they provide, and each window available for employees to staff. Employee Scheduling – Users define their employees, track hours, break times, and when they are available to serve customers. 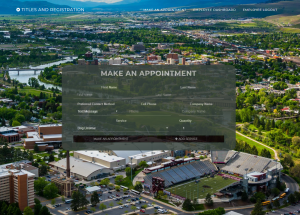 Schedules then integrate behind the scenes with appointment availability. Window Availability – Users define their windows or service desks and can reserve windows for specific queues or walk-ins vs appointments. Administrative Reporting – Queue Metadata – Emergency Notifications – And More!